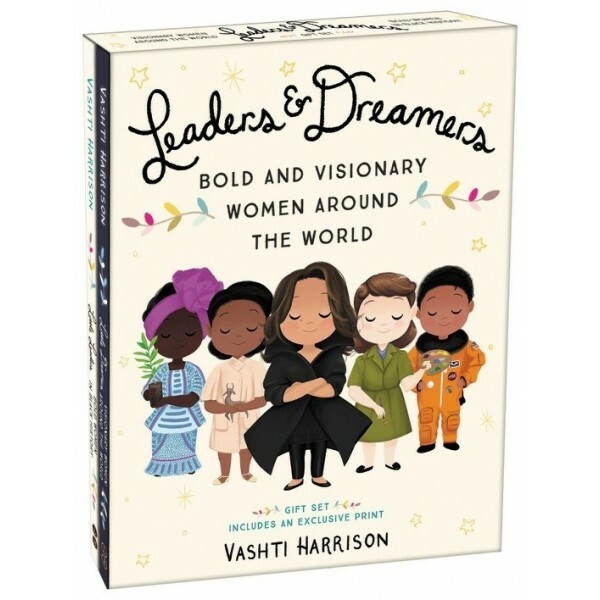 Discover New York Times bestselling author/illustrator Vashti Harrison and bold and visionary women in history in this beautiful boxed set of Little Leaders books! These beautifully illustrated books introduce readers of all ages to 80 women who changed the world. 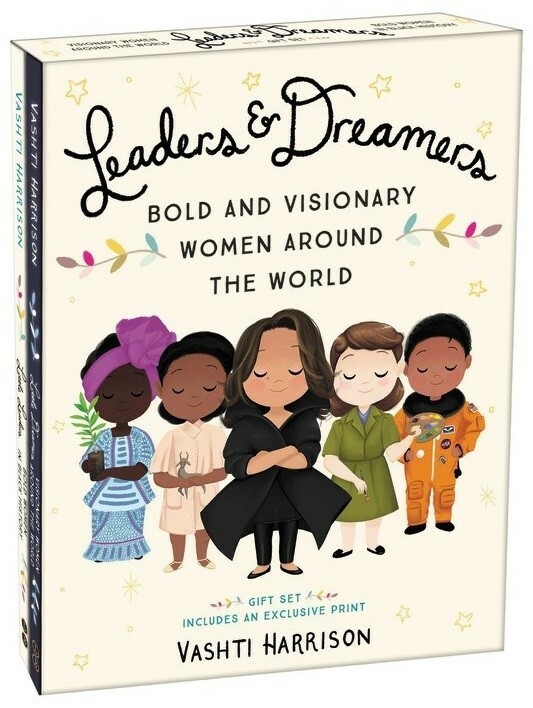 Little Leaders: Bold Women in Black History features 40 trailblazing black women in American history, and Little Dreamers: Visionary Women Around the World features 40 women creators, ranging from writers to inventors, artists to scientists. The set also includes an exclusive signed print, perfect for fans of this inspiring series! Illuminating text paired with irresistible illustrations bring to life both iconic and lesser-known female figures of history such as abolitionist Sojourner Truth, pilot Bessie Coleman, politician Shirley Chisholm, mathematician Katherine Johnson, poet Maya Angelou, filmmaker Julie Dash, painter Mary Blair, actor/inventor Hedy Lamar, environmental activist Wangari Maathai, architect Zaha Hadid, and physicist Chien-Shiung Wu.